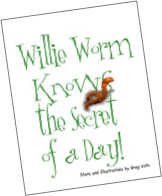 I recently self-published my first children’s book entitled “Willie the Worm Knows the Secret of a Day!” It’s currently available for preview and purchase at the Blurb Bookstore... click the book! 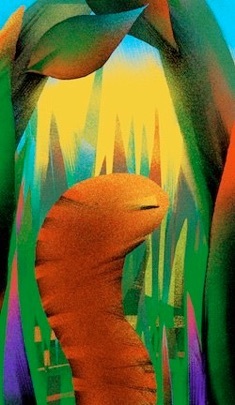 $25.95 in soft cover and as a hardcover book with an imageWrap cover for $37.95. Prices do not include shipping costs and are subject to change at any time without notice. it’s a bigger adventure than you might think! Upon receiving the book as a gift for our nephew Jaxon, Sarah, his mom, sat down and read the book after a long trying day. She called to tell us that Willie’s story actually helped her! You can see more of Willie in my digital portfolio. is given to any person or entity to copy or alter the work shown herein. This website exists for Greg Voth’s promotional purposes only.